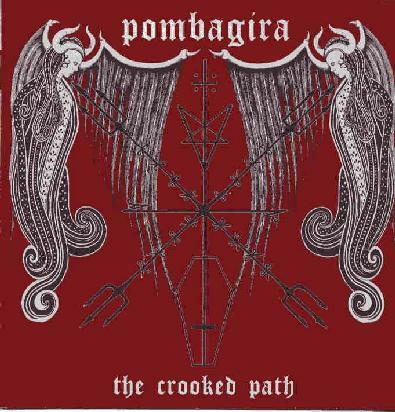 Pombagira - "The Crooked Path"
London's Pombagira have unleashed a monster. This is a double CD, over 90 minutes of slow, heavy, crushing doom with some intense stories to tell. A bit like France's Monarch but without the female vocals. Only 4 tracks are presented here and it is best to be wickedly stoned and/or patient otherwise you will not understand or enjoy this musical art form. I like the way the band has cool unique intros and endings to their songs. No real guitar solos are presented here but some pretty dirty, nasty twisted guitar at times lies underneath the corpse of the DOOM riff... Doom on!